Overall antibiotic use was not curbed by giving physicians the results of biomarker tests in patients with suspected lower respiratory tract infections, according to findings from the Procalcitonin Antibiotic Consensus Trial (ProACT). 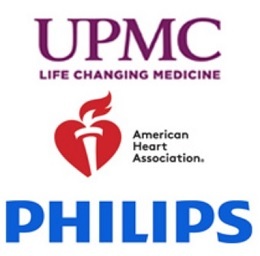 The national, randomized clinical trial was coordinated by researchers at the University of Pittsburgh School of Medicine, and funded by the National Institute of General Medical Sciences, part of the National Institutes of Health (NIH). The results, published recently in the New England Journal of Medicine, were presented at the ATS 2018 International Conference in San Diego. McGowan Institute for Regenerative Medicine affiliated faculty members Derek Angus, MD, MPH, and John Kellum, MD, are co-authors on the study. “But in daily practice, many physicians often prescribe them,” said lead author David Huang, MD, MPH, associate professor in Pitt’s departments of Critical Care Medicine and Emergency Medicine, and director of the Multidisciplinary Acute Care Research Organization (MACRO) Center, and the Clinical Research, Investigation, and Systems Modeling of Acute Illness (CRISMA) Center’s administrative core. The exact reasons why the results of this recent research contrast with previous studies are unclear, but the ProACT team found that procalcitonin test results generally matched up with how sick a patient looked as well as their physician’s judgment on how likely it was they had a bacterial infection. The team also found that even when physicians did not know their patient’s procalcitonin result, their decision to prescribe antibiotics was generally the same as when physicians did know the result. “In other words, it seems likely that physicians already commonly withheld antibiotics based on clinical signs alone, and, therefore, instead of the magic bullet I and many others hoped procalcitonin might be, it offered only limited incremental value over clinical judgment,” said Dr. Huang. Antibiotic overuse also has received increased attention since the last large trial of procalcitonin and lower respiratory tract infection was completed 10 years ago. Improved prescribing practices may have reduced the chance of the procalcitonin biomarker further decreasing antibiotic use, Dr. Huang said. “I hope our results will help physicians decide when to order procalcitonin and will encourage future research and randomized trials to determine the clinical utility of other novel biomarkers and diagnostic tests in general,” Dr. Huang said. Abstract (Procalcitonin-Guided Use of Antibiotics for Lower Respiratory Tract Infection.